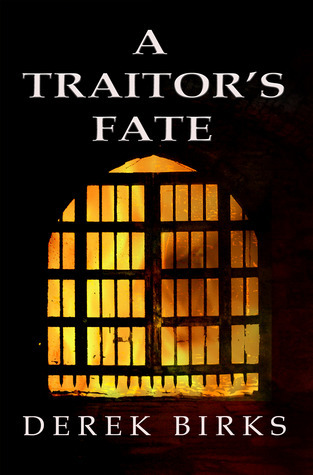 A savage tale of love, treason and betrayal. A bloody struggle for power at the heart of the royal court. In April 1483, the sudden death of King Edward IV brings his 12 year old son to the throne. Restless young lord and ex-mercenary John Elder is newly-appointed to the service of Edward, Prince of Wales, and charged with the boy’s safety. His first task, escorting the new king to London for his coronation, seems a simple one but the accession of a boy king raises concerns among the leading noblemen of the land. As old jealousies and feuds are rekindled, the new king’s uncle, Richard, Duke of Gloucester, seizes control and plunges the kingdom into crisis. But is Gloucester young Edward’s enemy, or saviour? While John, outlawed and trapped, must wait to see how events unfold, other members of the battle-scarred Elder family are drawn, one by one, into his conspiracy. Soon they are mired so deep in the murky underbelly of London society, that there seems no hope of escape from the tangle of intrigue and murder. In the end, all lives will hang upon the outcome of a daring incursion into the Tower of London itself. I’m of the opinion that if you Google the phrase “adrenaline rush”, you should be directed to a page describing Derek Birks’ fictional 15th century family, The Elders. Throughout the tales in both the Rebels and Brothers series, and in the Craft of Kings, the reader is treated to intense emotional upheaval, traumatizing losses, hopeless situations; and yet the Elders persevere in the face of all the changes and challenges. 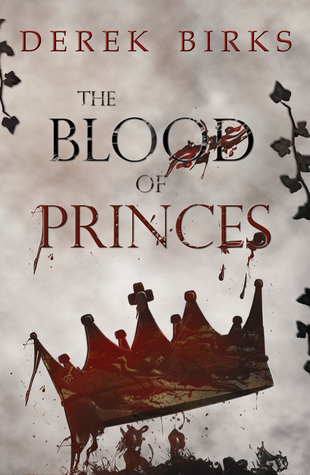 I may have stated in my review of one of the prior books, that Eleanor Elder is at the top of a long list of my favorite fictional characters…after reading The Blood of Princes, I now have to add Lady Margaret Elder (Meg). Let me start out this review by stating that I absolutely loved the first two books in the series and wondered if the author would continue to elicit my love in book number 3. It is the opinion of this humble, yet somewhat revered scribbler of reviews, that M.J. Logue has risen above the rather high expectations I had for Wilderness of Sin. This is a war story that, while it does provide excellent accounts of the battles and sieges, is more in the way of a delving into what makes people tick kind of a story. The author has given us wonderfully drawn characters, Hollie and the others who have been around from the beginning of the war are changing. Some are maturing, such as Thankful and Luce, some are more hardened, Fairfax, and some are relinquishing their irascible exterior, Hollie. Regardless of the changes, the character development is what makes this book sing. I think the best chapter in the book has nothing to do with the war, in fact it takes place in Het’s garden as Thankful or Hapless or Apple, as he is called by a precocious toddler, and the self same toddler engage in eating bugs. It is a chapter I would loved to have written myself. 🙂 5 stars without a doubt. Nice interview with Derek Birks…author of Feud. 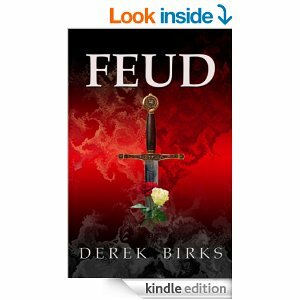 Today I’m interviewing Derek Birks, author of “Feud,” a novel of the War of Roses. “Feud” is the compelling story of Ned Elder, his sisters and the girl he loves. As the civil war rages across a snow-covered battlefield, they fight for survival and the bitter feud is played out to its bloody conclusion. 1.Why did you choose the Wars of Roses? 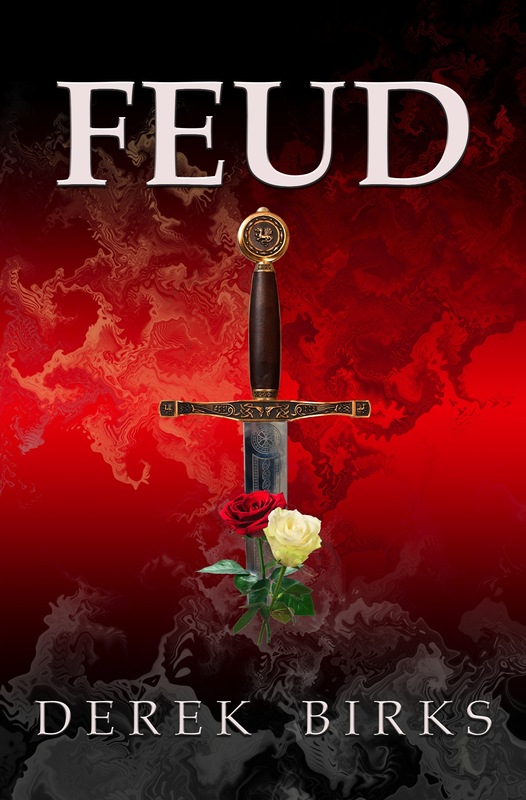 Feud is a masterpiece of fiction woven into the fabric of the history of The War of the Roses in mid 15th century England. Ned Elder, the main protagonist is thrust into the maelstrom of loss and sorrow right from the get go of the book and must find the strength and reserve to combat his doubts and fears as well as a host of really nasty enemies as he seeks to recover what is left of his family and the woman he loves. The author treats us to an astounding array of characters from the grim and determined Ned, the repulsively villainous Radcliffe family, and a host of women whose strength under staggering cruelty is one of the highlights of this entertaining, page turning saga. Many times throughout my reading I had to stop and collect my thoughts as plots unfolded in surprising developments. Kudos to the author for producing a well researched and well written book. 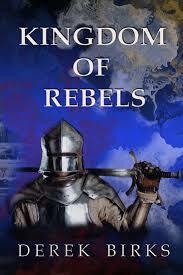 I rate it at 5 stars and have already purchased the second book of the series in great anticipation. I live in Berkshire in England. Apart from writing, I enjoy travelling and I spend my spare time gardening, walking and reading. I’ve also discovered archaeology of late and I am currently taking part in a long term dig at a Roman villa site. For many years I taught history in a secondary school and that experience has enabled me to gain some small insight into what people find interesting in historical material. I’ve read historical fiction for as long as I can remember but my own favourite has been Bernard Cornwell and I suppose his work has influenced my humble efforts more than any other. I started my first book when I was seventeen but somehow life took over and I never finished it. But the passion for writing lived on! 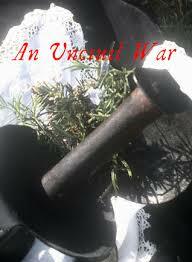 I took early retirement several years ago to concentrate on writing again and Feud is my first book.